We're honoured to be nominated for two Best of Year Awards from Interior Design Magazine! 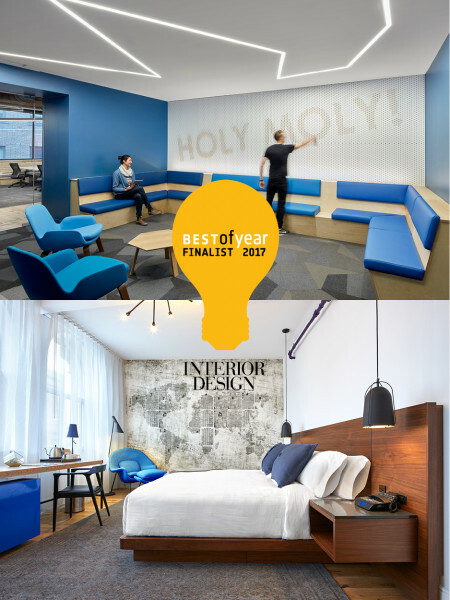 The Walper Hotel with Jill Greaves Design Inc and Dialogue 38 is nominated for Best International Boutique Hotel, while Slack's Toronto office is nominated for Best Mid-Size Tech Office. Stay tuned for the winners' announcement on December 1st!